Winslow is located in Navajo County, Arizona, United States of America, having a population of more than 10 thousand. The total area of the city is more than 31 square kilometres. Winslow is considered to be among the most beautiful places in the region, full of natural beauty and historical places. If you are looking for a holiday destination, Winslow is one of the best places to visit, offering a number of activities to people of all ages. However, you need to do proper research about the city before going there. Standin' on the Corner Park is one of the most popular places in Winslow. Address of Standin’ on the Corner Park is Kinsley Avenue and Second Street Winslow, AZ, 86047. The city was immortalised through the song ‘Take It Easy’, which was performed by the Eagles and written by Glenn Frey and Jackson Browne. The park celebrates this song. 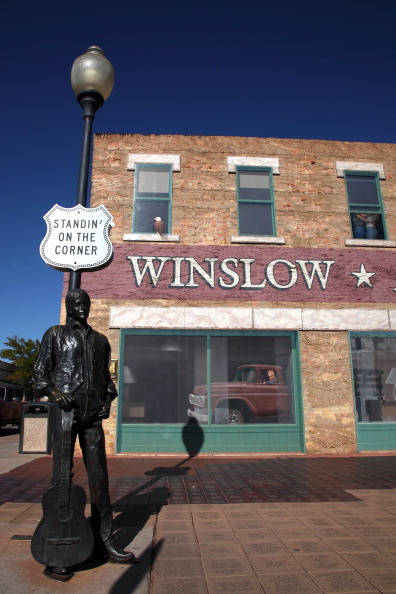 If you are in Winslow, you must visit Standin’ on the Corner Park as it offers multiple activities to the visitors. You can listen to Eagles music for as long as you wish to and can find some brilliant restaurants across the street. If you love taking pictures, the park offers many love locations for photography. The city also happens to be the home to the 9/11 Remembrance Gardens. It is a memorial for the people who lost their lives during the tragic incident of September 11, 2001, at the World Trade Centre in New York City. The memorial was constructed, using two beams which were recovered from the remains of the twin-towers. Apart from the Standin’ On The Corner Park, some other main sights of the city are Barringer Crater, which is also known as Meteor Crater, the Painted Desert and Petrified Forest. The latter two places are about 60 miles east of Winslow. If you are travelling by air, you will be using by the Winslow-Lindbergh Regional Airport. At the present moment, there is no commercial airline service in the city. There are multiple bus and cab services in Winslow and you can thoroughly experience the city by using public transport. If your budget allows you to do so, you can hire a cab for a day and ask the drive to make you visit all the important sights of the city.